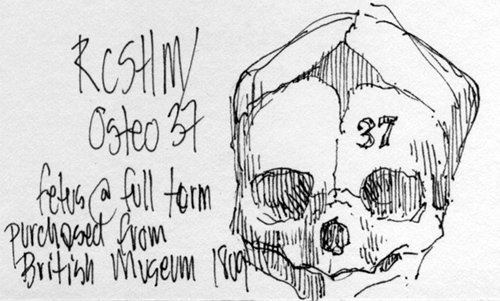 This is a sketch of the skull of a full-term infant in the collection of the Hunterian Museum at the Royal College of Surgeons of England. This particular specimen was acquired from the British Museum in 1809. All drawings by James G. Mundie.